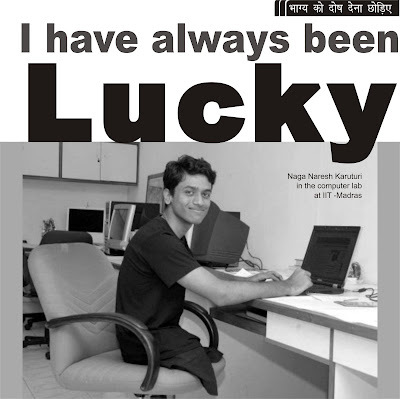 “I have always been lucky,’’ beams Naga Naresh Karuturi, who got his B.Tech. degree from IIT-Madras on 25th July 2008. The 21-year-old has also landed a job in Google R&D, where he’ll join as a software engineer on July 28. “It was an elaborate selection process, but I got through. I told you I am always lucky,” he reiterates. But one look at him will tell you he has been anything but so. Naresh’s legs were amputated when he was seven following a freak accident. After the incident, his sister Sirisha carried him around in school. In Class III, Naresh got his wheelchair. Then, Sirisha began pushing his wheelchair to school and his friends carried him wherever he wanted to go. Born to unlettered parents and into a family where no one had completed higher studies, this IIT graduate first heard of the premier institution when he was in Class VII. That was when he heard that a school senior had made it to the reputed Gowtham Junior College in Andhra Pradesh’s Vijayawada which was popular for producing state ranks and IIT entrants. 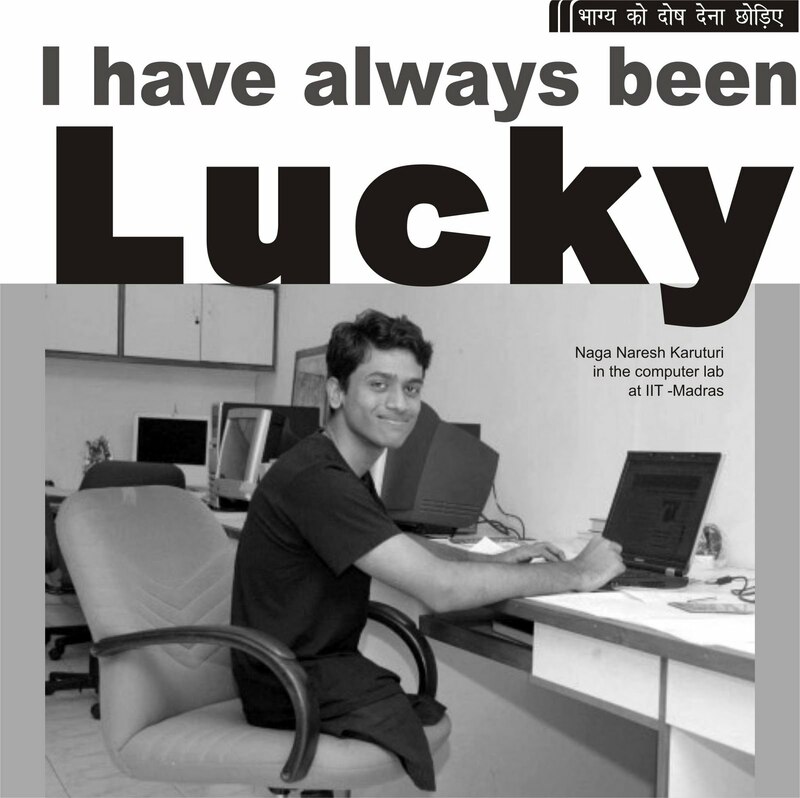 Naresh, too, won an entry into the same college. “It was an expensive residential school and cost Rs 50,000 per student per year. My father could have never afforded that but for scholarships. I was lucky again there,’’ he says modestly. From Class VII to XII, Naresh’s fees at the residential college were met through scholarships. Later, Naresh was glad for having earned a seat at Gowtham Junior College. “The college segregated students into those who would be trained for the IITs, AIEEE, and other exams. I was lucky to have studied in such an atmosphere,’’ he adds.